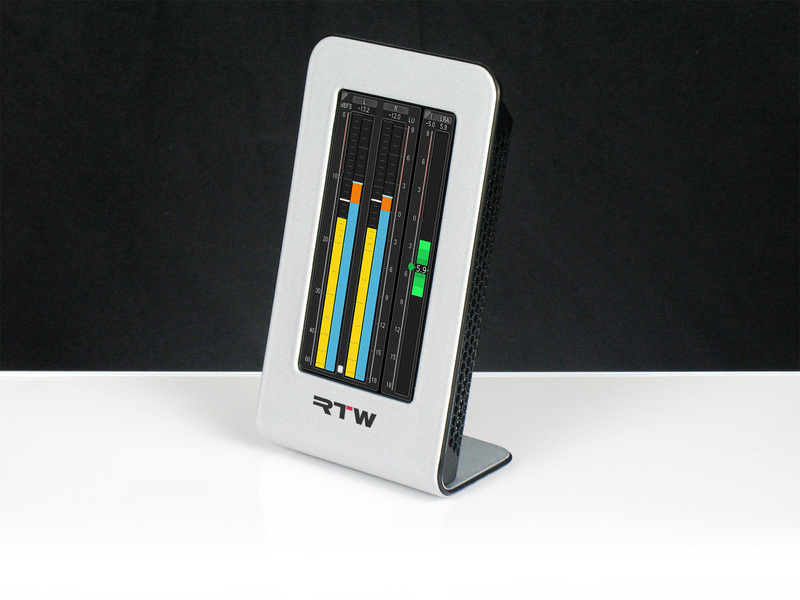 AMSTERDAM, 9 SEPTEMBER 2011 — At this year’s IBC (hall 8, booth E76), RTW from Cologne, a leading vendor of visual audio-signal meters for professional broadcasting, production, post-production, and quality control, will present the TM3, the latest addition to their successful TouchMonitor range. The TM3 includes features of the larger TM7 and TM9 versions and is controlled using a touch-sensitive display. With its budget-friendly base price of less than €1000 (basic stereo version), its 4.3" touchscreen, and its stylish exterior allowing for horizontal and vertical placement, the TM3 is a highly appealing alternative, for example, for editorial offices, edit suites, and small control rooms. In addition to PPM and true-peak instruments, the TM3 offers comprehensive loudness metering in compliance with all globally relevant standards: EBU R128, ITU BS.1770-2/1771, ATSC A/85, and ARIB. Instruments include single-channel and summing bargraphs, an LRA instrument, and numerical displays. The basic version handles analog and digital stereo audio while the 5.1 option supports 6-channel digital input in addition. The TM3 comes with a separate I/O unit that is connected using a single cable for audio transmission and power supply. Shipment of the TM3 is expected to start in the second quarter of 2012.